Best All In One SEO Meta Tags - Full SEO Pack For Blogspot 2018 Edition . - WelyTech Blog WelyTech Blog - Tech News, Free Browsing, Android Guide, Gadgets Reviews Best All In One SEO Meta Tags - Full SEO Pack For Blogspot 2018 Edition . HomeSEOBest All In One SEO Meta Tags - Full SEO Pack For Blogspot 2018 Edition . Best All In One SEO Meta Tags - Full SEO Pack For Blogspot 2018 Edition . Users and Search engine got a brief idea from title tag of your page/posts and it is must important. In simple word SEO is Search Engine Optimization, i can simply say that SEO is what every blogger need to progress in blogging. This helps search engine rank your site, you can have good content with SEO your work is in vain. This tutorial based on Best All In One SEO Meta Tags - Full SEO Pack For Blogspot 2018 Edition . Description meta tag provide a summary of your page or posts on search result. Convert title on 404 error page - Convert blog title when visitors are stay in error page. Facebook and Twitter profile compatible - Social meta tags help you for socializing. Allow bots to crawl your site on daily - Robots crawling by meta tags. Google + Author name profile picture Compatible - Social meta tags help you for socializing. Facebook user name and Page name Compatible - Social meta tags help you for socializing. Optimized posts title - Show posts title first on search results. Optimized blogger comments - Help search bots to crawling blog's comment. Optimized Archive pages - Index your archive pages separately. Optimized Blogger labels - Index your label pages separately. Optimized keywords meta tag - Your main keywords, that help search bots to understand about your blog. Google, Bing and Alexa verify by verification code - Verify all webmaster tools using verify ID. SEO friendly robots.txt file by tag - It give a brief idea for indexing your blog to search engine. 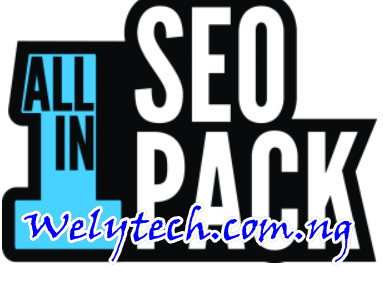 For you to Install the SEO Pack on your blog - Please make some changes where necessary. Please customize it to your test before installing. If you have any problem during the installation process please use the comment box to notify me. Am ready to help. Click on Theme, then edit "Edit Theme"
Copy the Html Code. Search for place it below the code. Copy the code, follow the intallization process to install it in your blog. Hope the lesson was useful, thanks for reading.